Synchronized Power over Ethernet clock for businesses and organisations. Ensure that operations happen on time, every time. Connects to an NTP server to receive accurate time. 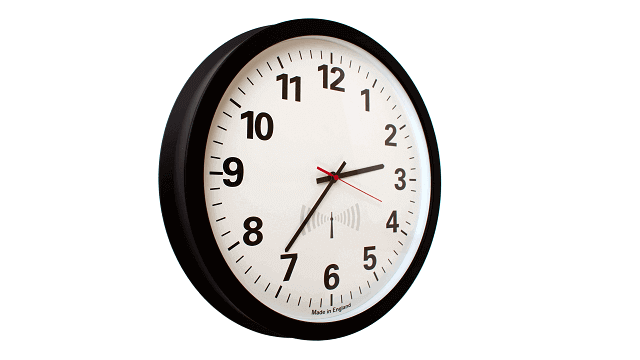 Hundreds of Ethernet wall clocks can be configured from a single PC. Receives power and network connection via an Ethernet cable for easy installation. Accurate time is essential for the reputation, productivity and profitability of businesses and organisations just like yours. The Inova Solutions four-digit Ethernet clock connects to an NTP server to display accurate time from a GPS, radio or Internet source. Hundreds of Ethernet clocks can be synchronized from a single NTP server and configured from a single PC. 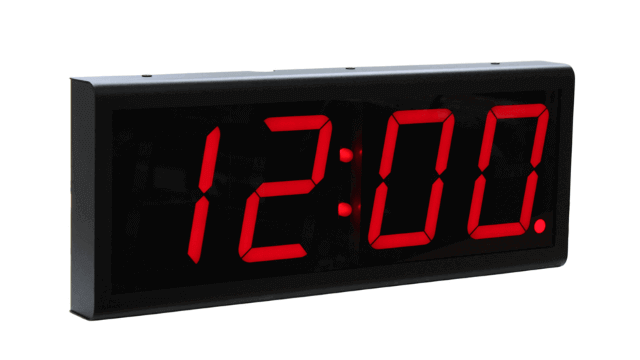 With no need to purchase additional hardware, Power over Ethernet (PoE) clocks are a cost-effective way of displaying precise time throughout your premises. Your organisation benefits from synchronized operations, greater time awareness and improved customer service. The PoE clock receives network connection and power supply from an Ethernet cable (with a PoE capable switch). Install the clock in the most optimised location for you, without the hindrance of an additional power lead. If no PoE capable switch is available, simply connect the clock to the mains supply using a power injector (available separately). 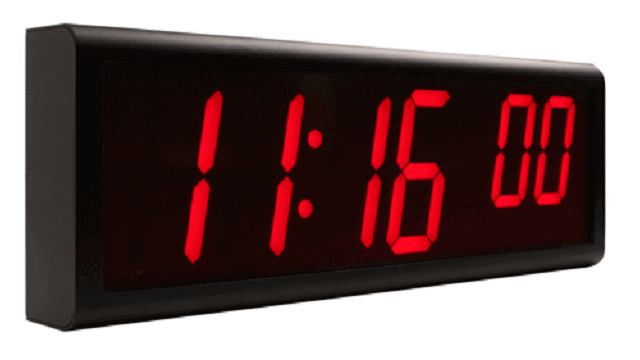 Galleon Systems has over twenty years’ experience of manufacturing and supplying NTP clocks and servers to customers such as Vodafone, HSBC, Buckingham Palace and Ford. The Inova Power over Ethernet clock has a one-year warranty and lifetime customer support for complete peace of mind. Easy to install: connect to an NTP server and power supply via an Ethernet connection. Install the clock in the most optimised location for you. Highly visible: visible from up to 50m. Cost-effective: a single PC can configure hundreds of clocks, so there is no need to buy additional hardware. Time servers: the Inova Power over Ethernet clock is compatible with any Galleon server with an NTS or TS product code.